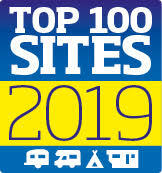 We’re so fortunate to be where we are – Henstent Park occupies an advantageous and enviable plot which is cradled by the Berwyn Mountains in one of the most beautiful parts of Wales. We’re both remote and we’re central – blessed with an unparalleled amount of peace and quiet around the area, but also in close proximity to some of the most thrilling and gorgeous attractions in the country. The whole region is rich with local legends which visitors may enjoy. Here’s a handful of local legends from the area for you. One of such attractions with a ton of legends about it is the stunning Pistyll Rhaeadr which is situated just above Llanrhaeadr-ym-Mochnant. This waterfall is well over 240 feet high, and (believe it or not!) is higher than the Niagra Falls. 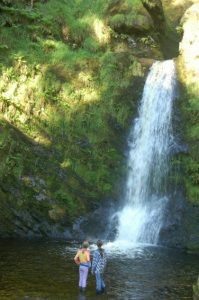 The waterfall is certainly a sight to be seen – carving itself shapes and pools as it likes, including four plunge pools, four cascades and even a fairy bridge. It’s a real treat to visit, whatever the time of year. The winter (which is certainly coming!) is one of the best times of which to observe this gorgeous waterfall, due to the fact that the freezing temperatures indeed do freeze the waterfall and the pools. Local legend states that getting close to the falling water may make two figures appear when they, themselves, feel the need to look upon their visitors. The first figure which may be discerned by eagle-eyed visitors is the Lady of the Water, who is said to hide her skirts behind the longest drop of water, and also drops her long hair in front of her face as she regards all who would look upon the waterfall with her stare. 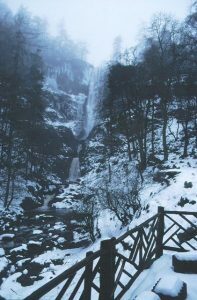 The second figure is the Guardian of the Falls, a monk descended from the ancient druid settlements of the Holy Valley of the River Dee- which is said to have been assigned to guard the waterfall from all who might do it harm for eternity. This dutiful and diligent gentlemen, and his long robes, can be observed from the base of the waterfall. The pair have their attendants of course, and it is said that the fairies have taken up residence in the dappled trees – as well as beneath mossy banks and stones around the waterfall – ever prepared to answer calls from the Lady or the Guardian. Of course, everyone likes a break, and fairies are no different. If you’re fortunate enough to look at the fairy bridge at just the right moment on a sunny day, you may be able to see their shining wings glistening and gleaming in the sunlight as they take their break on the bridge. Listen very carefully and you may be able to hear them singing in tune with the falling water of Pistyll Rhaeadr. Taking a holiday in Wales is one of the very best things you can do if you enjoy local legends and heritage. The Welsh have always been a loquacious people, and the amount of local legends that are there to enjoy is without compare. The Welsh are also known for their hospitality, and we’re pleased to keep this going with our beautiful Henstent Park which offers holiday homes for sale, as well as camping and touring pitches for enjoyable holidays, whatever your medium. 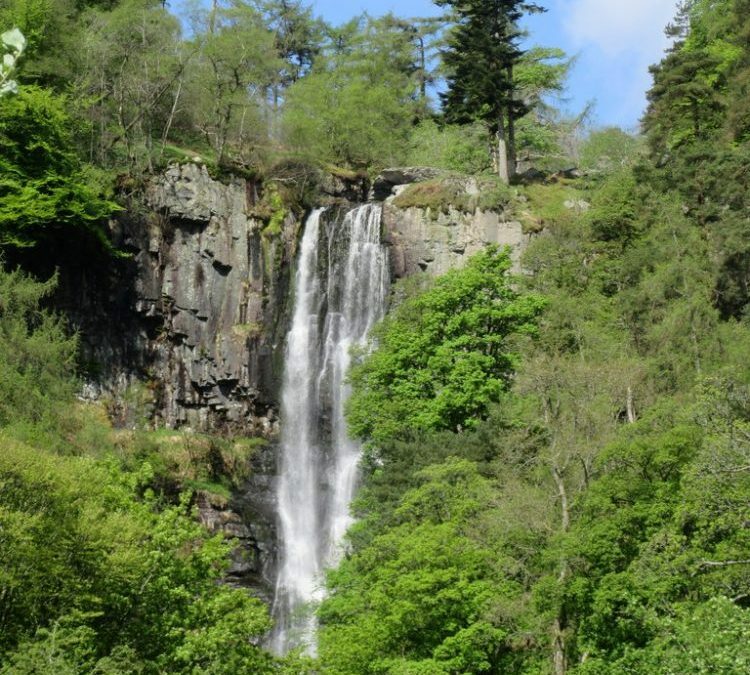 We very much hope that you’ll visit the magical Pistyll Rhaeadr soon, as well as our lovely park. First Image is Copyright John Darch and licensed for reuse under this Creative Commons Licence. The Second Image is Copyright Richard Webb and licensed for reuse under this Creative Commons Licence. Third Image is Copyright John Firth and licensed for reuse under this Creative Commons Licence.